Shift work is strenuous on both a persons body and relationships, especially in relationships where one partner or even both partners work shifts. When one partner is at home the other is at work and visa versa. Even when partners are able to spend brief moments together between working hours these moments of interaction are often not of quality because of the detrimental effects shift work has upon mood and social behaviour, making people tired and irritable. The detrimental effects on our mood and social behaviour come fundamentally from the alteration of our bodies biological clock, also known as our Circadian Rhythm. Our Circadian Rhythm naturally operates on a 24 hour cycle, controlling body temperature, respiratory rate, cell division and hormone production. These factors are controlled by the light too dark cycle of the day and our sleeping patterns. When we alter our natural Circadian Rhythm by being awake at night and asleep during the day instead of being awake during the day and asleep at night. We are then altering (flipping upside down) our Circadian Rhythm and in turn negatively effecting our mood and behavior. 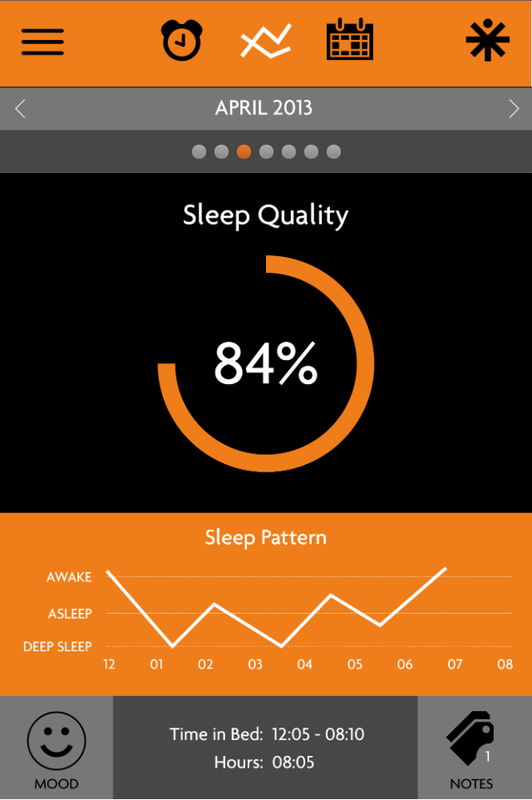 To create awareness of our Circadian Rhythm I developed Body Clock. Body Clock is a display that measures the optimum Circadian Rhythm of our bodies over its 24 hour cycle and compares it with where we are in our current rhythm, measuring and displaying how out of sync we are with our optimum bodily state. Body Clock allows for a better understanding of the possible cause of shift workers negative moods and irritable behaviour. Body Clock is about bringing into discourse, conversation and understanding something that is an intangible bodily state that effects our moods and behaviours. With this understanding comes the ability to be aware of your body, your mood or your partners mood and the possible reason for it, allowing partners to react accordingly to each others needs and hopefully be able to spend brief moments together more qualitatively. 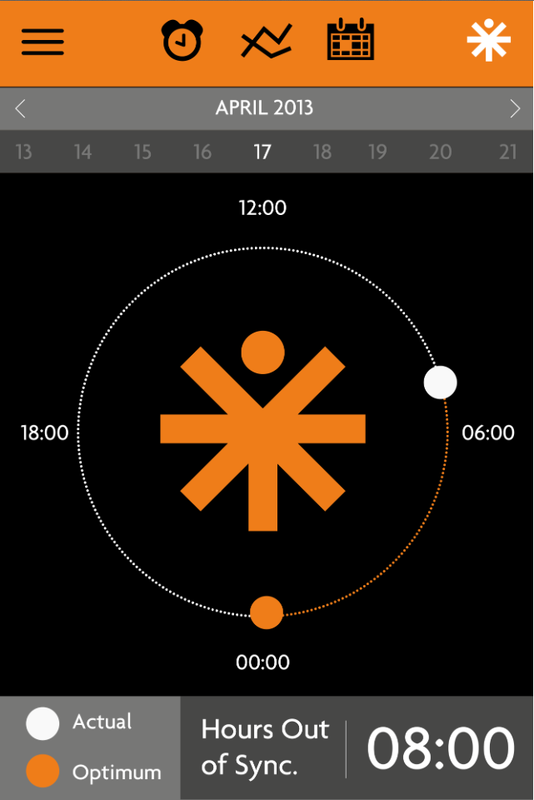 With the information that Body Clock provides it can also be used to better re-sync you with your optimum Circadian Rhythm by using the Body Clock mobile application which provides a suggested optimum sleeping pattern to help you better transition to and from night shifts.